Huawei is one of the leading Chinese smartphone brand which has operations worldwide in many countries. 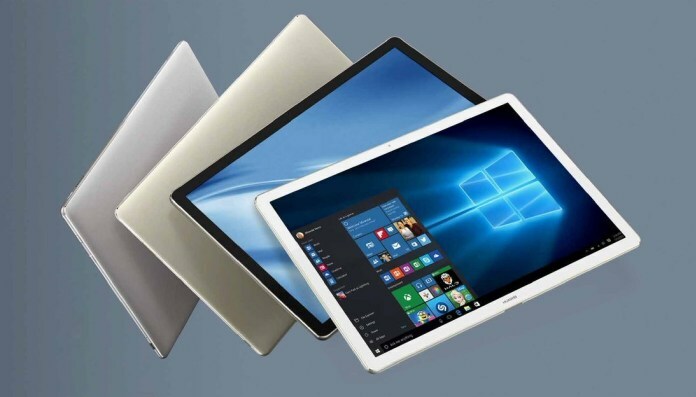 Amid dropping tablet sales, Huawei at Mobile World Congress has officially launched their first two in one Windows tablet, named as Huawei MateBook. The Huawei MateBook will be available starting from $699 with six different colors to choose from. Huawei MateBook features full aluminium unibody wiht 84% screen to body ratio. It has 12 inch IPS LCD display with 2160 x 1440 pixels resolution and powered with Dual 6th generation Intel M processor clocked up to 3.1 Ghz.